While many companies are switching over to TED style events, there are times when a famous celebrity or big-name speaker is needed to reel in attendees, hook their attention, and sink in your message. From pro-athletes to actors and authors, to superstar CEO’s and tech-legends, celebrity speakers come in all shapes and sizes. And while we know there are a number of famous celebrities that you would love to speak at your event to wow the audience, sometimes a big name alone isn’t always enough. Choosing a celebrity speaker who best suits your organization and the purpose of the event is what most often determines the success of an event. Think Goldilocks—it has to be just right. We’ve compiled a list of celebrity speakers we booked for our clients to help you get those ideas swirling and event plans moving. Take a look at the following instances when the speaker/event pairing was just right. Keynote speakers do not always have to be working professionals in the exact same field as your company/event. Oftentimes a professional from another industry can bring in a fresh perspective and expertise on core principles that are necessary for success in any field. Principles such as leadership, teamwork, productivity, and overcoming adversity. Celebrity athletes are a particularly good example of this, and their keynotes are often incredibly inspiring. 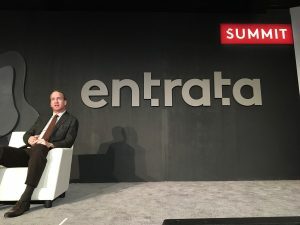 This year NFL superstar Peyton Manning spoke at Entrata Summit, a technology leadership conference and workshop. Peyton is a tremendous example of the excellence and achievement that comes from hard work and dedication, and his keynote on leadership inspired all in attendance. A vivacious speaker who is well versed in your industry, though not necessarily an insider, can often bring that extra special element to your event. 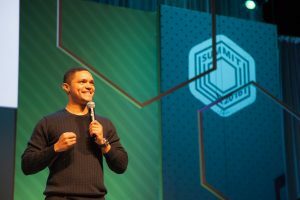 Trevor Noah, host of Comedy Central’s The Daily Show, spoke at the Spredfast Social Marketing Summit this year. Trevor explained that social media and emerging technologies have changed the way The Daily Show is produced, evolving it into a TV show that can be shared widely across social media. Because of his role at the Daily Show, Trevor was able to bring his expertise on social media, culture, and current affairs to the discussion in addition to incorporating his signature comedic style: challenging the audience to think while simultaneously making them laugh. Other times, there are celebrity speakers who are the obvious match for an organization’s event. 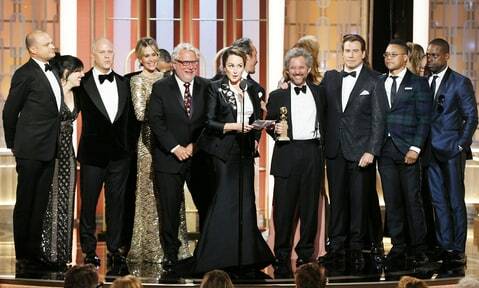 These are the celebrities who are professionals in the same field as the audience they are speaking to. 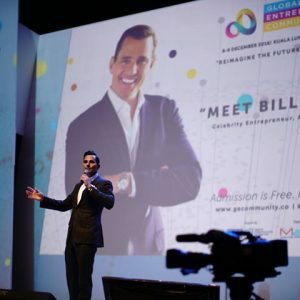 At the Global Entrepreneurship Community event in Kuala Lumpur, Bill Rancic expertly spoke about building a personal brand and thinking like an entrepreneur in corporate America. The event brought together entrepreneurs with the aim of informing and inspiring them to contribute to the growth of the economy, innovation, and employment in Malaysia. As the winner of the first season of The Apprentice, entrepreneurial heavyweight Bill Rancic was a natural fit. Sometimes the stars align and you find a speaker that embodies your organization’s message, and it’s magical. This happens when the speaker is not only informed about your industry but additionally has something in common with your organization that is personally or professionally dear to them. 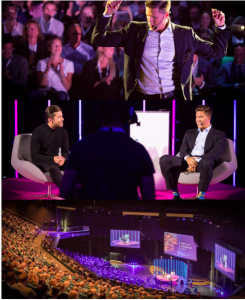 Fredrik Eklund, NYC real estate mogul and star of Bravo’s hit show Million Dollar Listing spoke at an event in Sweden to a room filled mostly with realtors about tips for business success followed by a moderated conversation about Fredrik’s personal story. The event was particularly touching and personal to the native-born Swede who at one point danced joyously up and down the aisles of the packed venue. Fredrik shared, “There was so much love in the room…My family was there too, allowing me to be honest…Of course I cried a little showing the video of me and Derek… it was all so very special… Thank you, thanks to all of you!” When the speaker feels a deep connection, s/he feels more comfortable expressing themselves openly, and that feeling permeates the audience. Be prepared to laugh and cry at these emotionally moving and enlightening keynotes. You will leave having learned more about the speaker as well as about yourself, and feeling all the better for it. These celebrities may not be the first ones that come to mind when planning your event, but once considered, you realize that they check off every box. For example, when you think of Vanilla Ice, you first thought is probably “famous rap/ hip-hop artist from the 90s. But, did you know that Vanilla Ice (Rob Van Winkle) has also had great success in real estate? He flips and sells multi-million dollar homes in Florida, launched VanillaIceRealEstate.com which offers courses in real estate investing, and has an award-winning show on the DIY Network called The Vanilla Ice Project. This is where a speaker’s bureaus come in particularly handy. Agents are experts on the experts and know about the hidden talents and business ventures of celebrity speakers.